After a long silence returns with new devices, brand MeegoPad. MeegoPad introduces a new model of its own mini PC Stick called MeegoPad T03. It’s fair to say that MegooPad already refreshed us well known model PC-on-a-stick.. From previous models MeegoPad T01 and MeegoPad T02 is different housing above all, runs Dual OS (Windows 8.1 and Android 4.4, that can be upgraded to Windows 10) and other cooling. Details about the better thermal design are not shown, with the company only claiming a “redesigned temperature control featuring patent technology in heat conducting coating”. The processor is the same, well known to us Intel Atom Z3735F. It is a pity that the company in the new model MeegoPad T03 not applied a new processor. Therefore, the specification T03 version is similar to previous models. 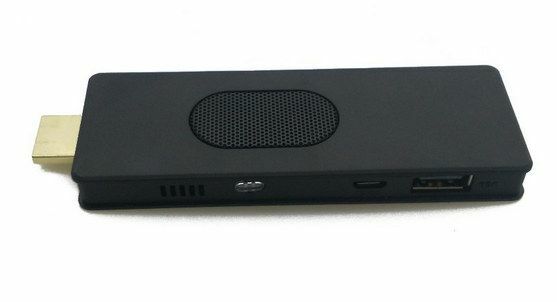 That new mini PC Stick lacks the audio jack (available in MeegoPad T02), and only comes with one full sized USB ports. To connect a more devices need to obtain a USB hub.The MeegPad T03 PC Stick ships with a power supply, and a USB cable. The Windows 8.1 license is unclear. 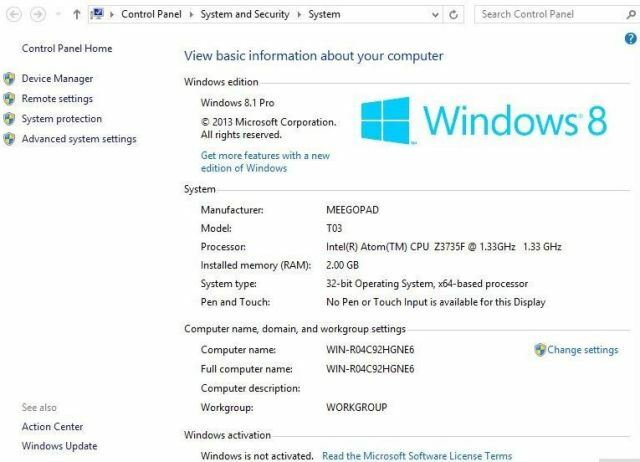 The product page on Aliexpress claims Windows 8.1 is activated, but one screenshot shows “Windows 8.1 Pro” and “Windows is not activated”. MeegoPad T03 can be purchased for $94.99 on “MeegoPad Official AilExpress Flagship Store”.